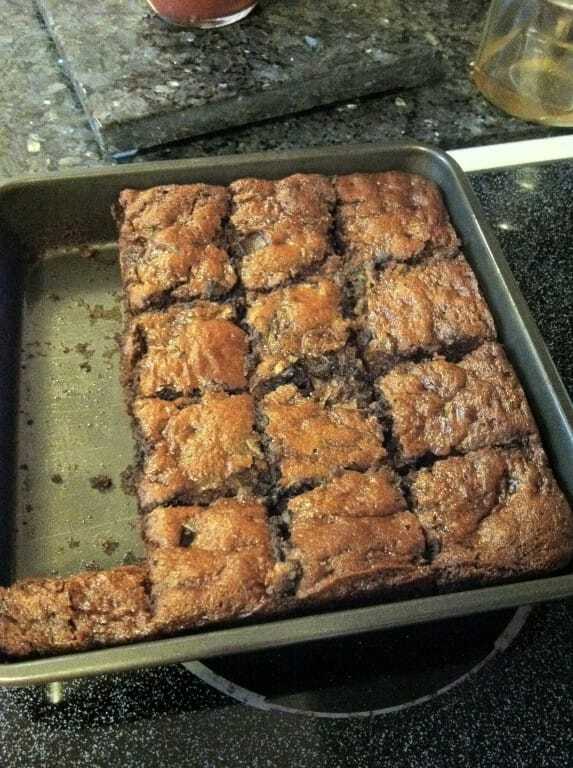 This actually makes 16 nice sized brownies. I picked a few zucchini this morning, so this was a great way to use it. I was skeptical that this would bake firm enough without any almond flour, but it turned out great. Really moist.